This blog post brings back a lot of happy memories. This person in question had to wait almost 60 years to get her smile back and was desperate to smile as brightly as she could for her daughter’s wedding. She came to us a month and a half before the wedding to fix her teeth. Her teeth were not in the best of conditions and her gums were infected and inflamed because she had feared going to the dentist for the past 25 years. It took us a while to fix her smile, but we got there. However, the most important part of this journey was her taking the first step, getting rid of her fear to set an appointment. We were more than glad to help her and over time we built a special bond that a doctor and a patient rarely share, one of trust and understanding. We made sure she was comfortable with the treatment she would choose and we had to go through many cases full of photographs and videos. I think it was this process that made her believe that it was possible for her to get back the smile she desperately craved. After we decided on the process and the next logical step was to talk finances. Unfortunately, we can’t bring back someone’s smile without the treatments becoming expensive. For these specific reasons, here at Healthy Smiles we have payment plans that are stretch from 12 months to 36 months. She came up with a small the deposit at the beginning that helped us stretch her payment to the longest plan. She had always feared that she would start gagging at the cosmetic dentistry and was one of the reasons she hadn’t visited a dentist. We therefore used 3D scanning so that she wouldn’t have to face her fears. She was embarrassed when we asked her if we could take pictures, but a bit of humour won her over. Following this, we had wax-up’s and assimilations done for her, so that she could feel comfortable in taking the next step. With the help of our specialist anaesthetist, we put her under and when she woke up to beautiful new smile specifically designed for her with the help of Digital Smile Design. We had only put in the temporaries to correct the asymmetry and shape of the teeth but we could see that she was overjoyed. She smiled like a person different to the one that had walked into the practise simply wanting her smile back for her daughter’s wedding. There were tears in her eyes and her daughter who had come with couldn’t believe what she was seeing. Two weeks later, we put her under to put in the ceramic veneers one by one. In a space of five weeks, she had gone from a person who hadn’t been to the dentist in 25 years to someone who had a brand-new smile for daughter’s wedding. It made me realize that we’re not simply dentist but can also alter how a person feels about themselves and the confidence they have and carry. We’re very glad we could help she go through this journey. She was delighted to not stretch herself financially as the dental payment plans made things easy for her. She’s story was complete when smile brightly at her daughter’s wedding. 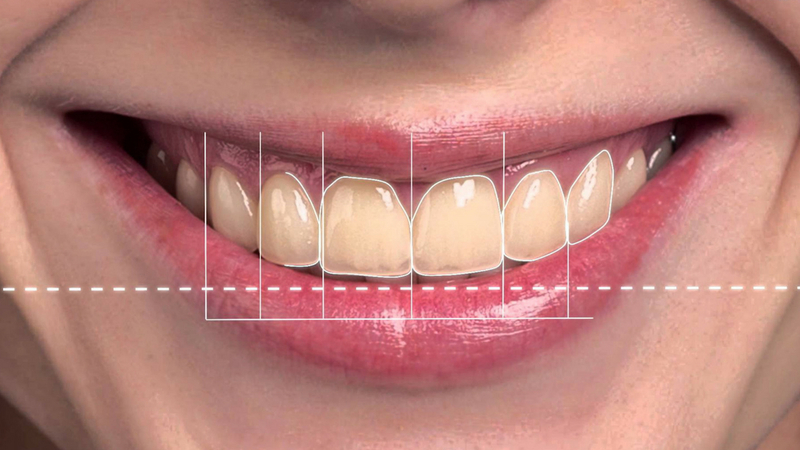 If you to have a similar problem or want us to fix your smile, we’re happy to give you a free consultation. We, here at Healthy Smiles, pride ourselves on doing the right thing ethically. Call us today for an obligation free consultation at 98772035 or visit online for more information. « Is the Dental Implants Cost Going Down?